We have all heard of “middle child syndrome,” and maybe you have made note of the personality differences between the oldest and youngest in the family, but it turns out that there is more science behind birth order than you may have suspected. 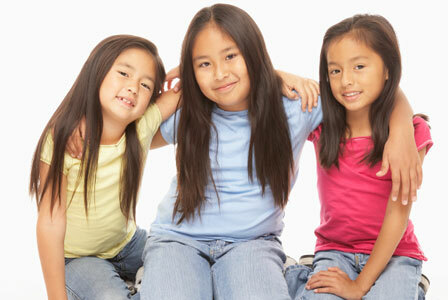 Have you ever considered how your birth order within your family has impacted your personality? Psychologist Dr. Kevin Leman, author of The Birth Order Book: Why You Are the Way You Are, says that your position in your family has tremendous impact on who you are, who you marry, and even what career you choose. Because the family dynamic changes with the addition of each new member, every child is essentially born into a different version of the same family. Your personality and behavior are determined by the unique interaction that takes place between parent and child and among siblings. Whatever personality trait has been adopted by the first born child, the second child will become the opposite. “The first two kids in any family are night-and-day different,” Leman says. The middle child will often excel at something that the first born child is not as good at. For example, a first born may be very good in school, while the second child is gifted in athletics. Middle children often play the role of peacekeeper in the family, mediating between the older and younger siblings. The practice that middle children get negotiating their place in the family typically means they have strong social skills and get along well with others. The youngest born in the family grows up with experienced, more laid back parents, which in turn makes them more laid back as individuals. Leman describes last born children as being the comedians of the family that are social, outgoing and engaging. They typically have fewer responsibilities and have more freedom to do things their own way, which makes the baby of the family free-spirited and creative. Your place in your family can have impact on what career suits you best. First born children seek out positions of high achievement. “Engineers, accountants, pilots and astronauts are all common first born careers,” Leman says. Middle children tend to fill entrepreneurial roles; Bill Gates, Donald Trump and Steve Forbes are all highly successful middle child entrepreneurs. The babies in the family make excellent performers and tend to be natural salespeople; they will seek out roles that involve engaging and interacting with people. Certain birth order pairings form stronger marriages than others. According to Leman, the strongest pairing is one between a first born and the baby, while two strong first born personalities are not an ideal match. Any time human nature is involved there are variables at play that can create exceptions to the rule. Leman says that child spacing can create more than one family within a family. For example, if there is a significant age gap between children, there can be two first born personalities within one family. A dividing line is created because of the large age gap that starts the birth order over again. Gender can also play a role in disrupting the typical birth order pattern. The first son born in a family may be treated by the parents as a first born, even if he has older sisters. Leman also points out that overbearing parents can cause a switch in birth order. If an overbearing parent is in the mix, the first born child can respond with a pendulum swing from over-achieving to under-achieving. Because the first and second child adopt opposite personality types, the second born child would likely take on the role of first born. Understanding birth order can help us to better understand ourselves and the people we interact with. As parents, being aware of the ways that birth order influences our children’s personalities can help us relate to our children and build stronger relationships with them.